Maine SNAP-Ed started in October of 2012 and has been growing ever since. With funding from the USDA and support from the Maine Department of Human Services, we provide nutrition education services in settings that are most accessible to individuals eligible for SNAP including: schools, food pantries, Head Starts and other child care settings, grocery stores, and regional DHHS offices. In 2016 alone, we reached over 34,000 Mainers with educational programming about healthy eating within a limited budget. 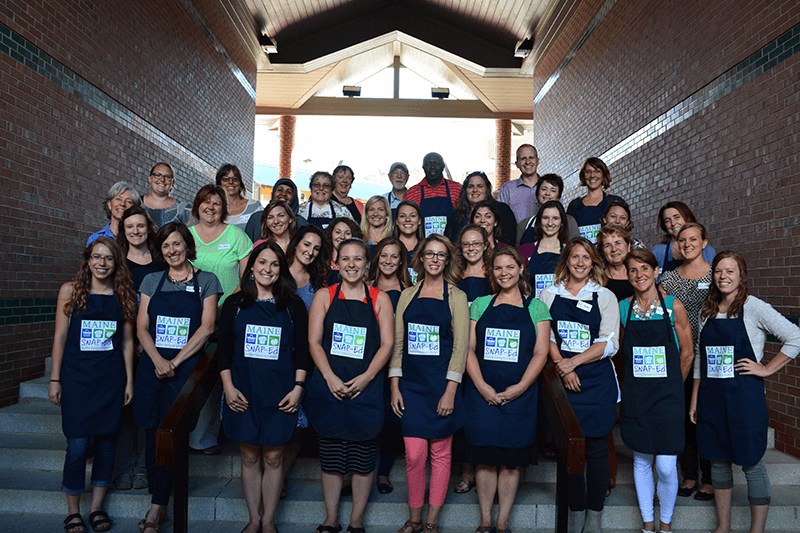 This program is made up of over 40 Nutrition Educators and Program Coordinators located statewide. We aim to reach every community within the state of Maine to provide nutrition education to low-income Mainers. Maine SNAP-Ed uses tried and true curricula and multi-level community-based approaches to help make the healthy choice the easy choice for Maine families. We also manage this website, a Facebook page, and a YouTube channel to further reach Maine families where they live, work, play, and shop.